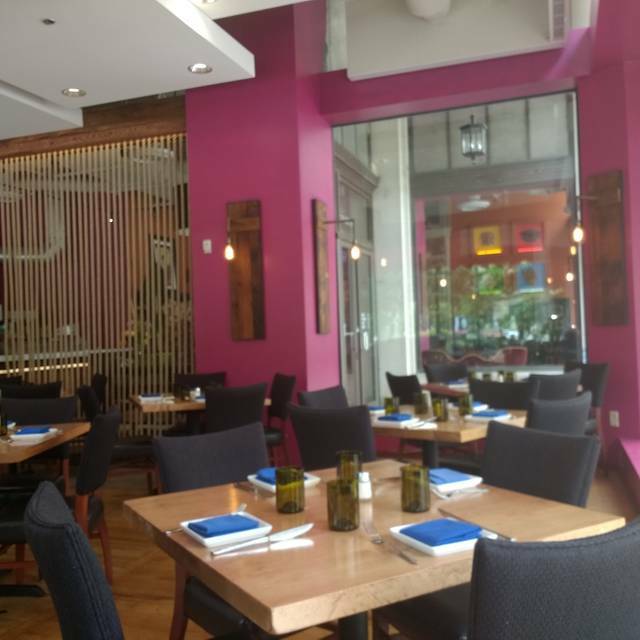 Maya features a Modern Mexican Cuisine with a refined Latin-Asian presentation. 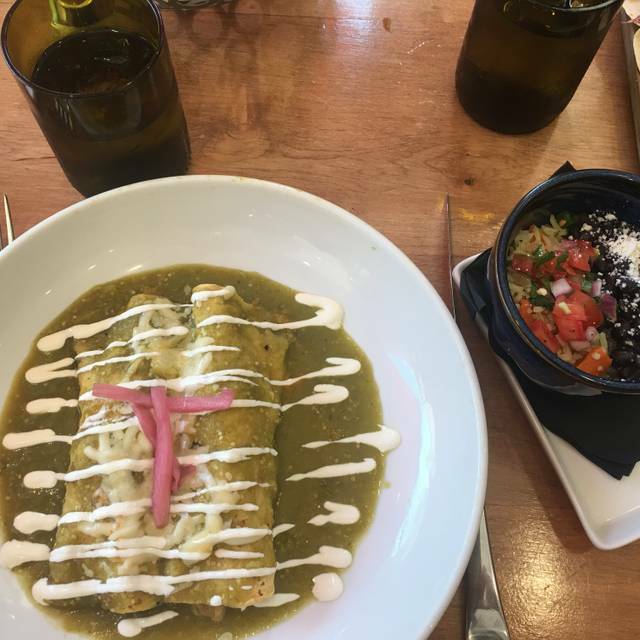 Modern Mexican is an exciting blend of vibrant flavors to turn dinners into celebrated memories. Our bold flavors take you on a tour from Mexico to South America. We are committed to using fresh ingredients from local markets. Once seated, the pleasant atmosphere and neighborly service will allow you to feel whisked away from the hustle and bustle of everyday life, and ready to relax and converse over a wide selection of tapas-style choices. Our entrees also symbolize our rich history as pioneers of taste, and truly reflect the authenticity of the culture we represent. Some of the market driven plates like our tender marinated skirt steak, served with fried plantains, and built upon a bed of rice, garlic-enriched black beans, fresh guacamole, and a juicy slice of grilled pineapple is sure to grab your attention. They excruciatingly slow service brought down what was otherwise a great experience. We were not in a hurry, but it shouldn't take an solid hour to receive our food from the kitchen when we were the first table to arrive for dinner service. And the order for my dining partner didn't come out with mine. And it just wasn't the kitchen the service from the bar was just as uneven, so it had to be the server. With only about 6 tables occupied for dinner on a Monday night, it should have gone much smoother. Did not see a manger available to speak with during the visit and nobody came by our table other than the server. I would be willing to the give place another try and hopefully with a different server. Incredible food and a romantic beautiful space. 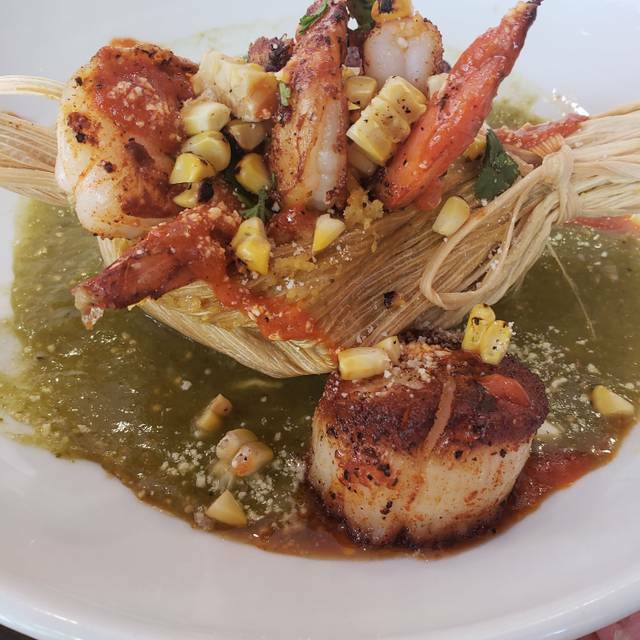 I got the seafood tamale which was so good, and the corn was fresh. Loved the quality of the seafood I got and the presentation was very sophisticated. Went on a Sunday evening when it wasn’t very crowded and was able to take advantage of happy hour margaritas which was an added bonus! They were not pre mixed - delicious! Would definitely recommend. 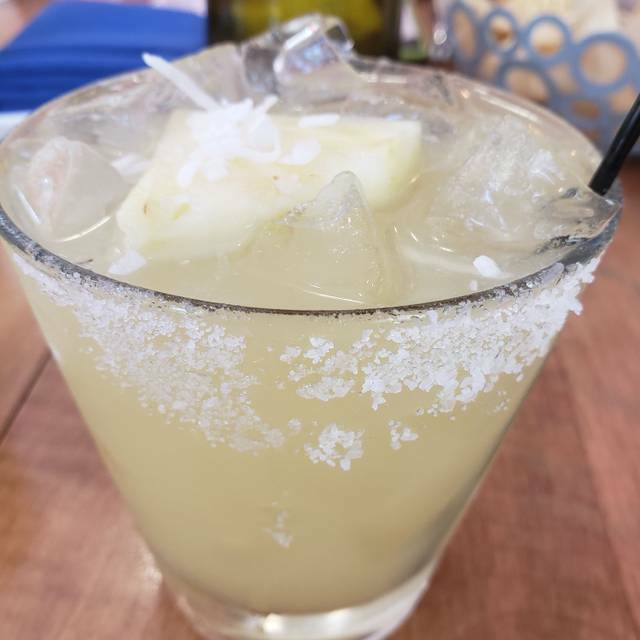 Delicious margaritas, shrimp tacos, and salsas! Servers Chip and Josue provide great, personalized service. Maya’s was AMAZING!!! We had reservations on a Friday night before a 90’s concert at The National. When we arrived, the hostess greeted us and showed us to our table. The wait staff was on point and very friendly and helpful with recommendations. There were 6 of us and not a single bad or neutral comment was made about the meal...everyone only had high remarks about the food. We started off with margaritas (house) which were perfectly balanced and plenty of tequila. For starters we had the octopus and guacamole trio...both awesome!!! The guacamole was one of many highlights as they were combinations you may have never thought of putting together, but work like perfection. We all actually ended up with tacos and I think almost all different ones. I can say the Chipotle Bourbon Tacos were incredible...I WILL be having them again! I did get a bite of my wife’s Maya Tacos and hands down one of the best fish tacos ever. I’m sorry some folks did not enjoy their time at Maya’s, but I would HIGHLY encourage them to try it again. WE WILL BE GOING BACK! 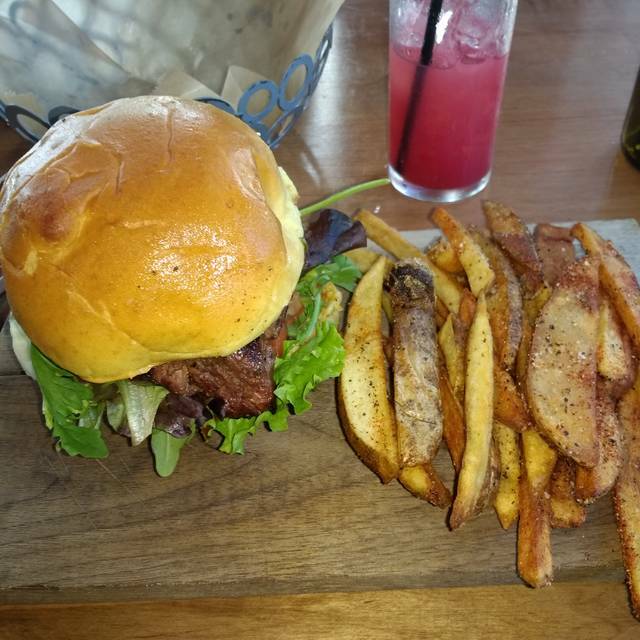 While the food tasted great, the service was slow even though it wasn’t busy at all. Our waiter just seemed like he didn’t want to be there and the energy he exuded was somewhat depressing. Convenient for concertgoers. We were late but they held the table for us. Everything was delicious. The server was very nice, the food was excellent . The kitchen was a bit slow. We were not in a rush so that was fine. Food was fresh and tasty. Service was excellent. We enjoyed the large windows. Great for people watching! Excellent food and professional but friendly service. The menu is intriguing with a distinct twist to old standards and new dishes. The service is excellent, well timed, but not hovering and you are not rushed. It is a wonderful dining experience. I have been there for dinner three times and for lunch once in the past three months and will definitely continue to patronize it. The fact it is across the street from the Carpenter Center makes it a great place to dine before a show. Great service and very tasty food. Loved this restaurant. Bright and beautiful atmosphere. Fresh and creative food. We went prior to going to the Carpenter Center. The waiter told us that the kitchen was very busy, so he suggested we place our orders early rather than pore over the menu. Our meal came with adequate time to eat before the performance. The food was excellent, as always. This is a great upscale Mexican restaurant! Handcrafted cocktails, homemade salsa and fresh fish and seafood are the highlights. 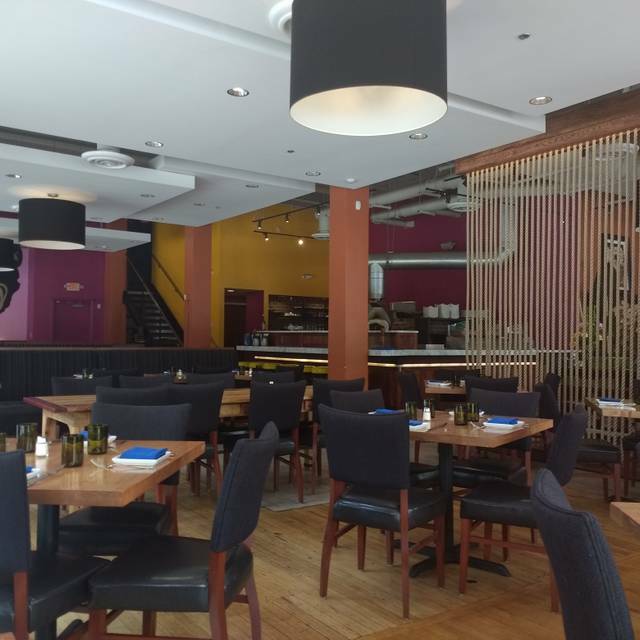 The owners are on site and do everything to insure you have a fabulous dining experience. I highly recommend it! We would like to extend our thanks for getting us in and out quickly so we could catch our show .. our table reservation was delayed by previous customers ... but you made it happen.. next time we will come and relax ... you went above and beyond to remedy the situation and the food was fabulous as always ! I would recommend Maya with reservation. Pack your patience. The restaturant space itself is nice and the location is great for downtown activities with paid parking available across the street. The food is pretty to look at it and might be fantastic, if received warm and in a timely manner. This was my second visit to Maya. There seems to be a lot of confusion among the servers about who should be doing what. It literally took half an hour to get drinks. The food took just as long and the guacamole never showed up. Maya has the potential to be a great spot, but they have to get it together. This was a Tuesday night! I definitely wouldn't recommend you try Maya on a prime weekend night. My husband & I love to eat here ! Their drinks are wonderful! We especially love Maria’s ( the chef ) Margaritas! There are 3 guacamole flavors ! All are home made & delicious! Love their chips , thin crispy & warm !! So much to choose from on the menu ! It is all fresh & delicious! My husband had the fish tacos! Yum ! I Love the Scottish Salmon ! Real yummy!! The atmosphere is nice and cozy too ! Parking right across the street! Easy in & out !! Location is across from Dominion Art Center! Great place to go before & after a show ! A wonderful restaurant! We were immediately seated and the server came around quickly. My wife had the chorizo and goat cheese quesadilla; she really liked it! I had the Angus burger (don't judge! ); it was perfectly cooked and tasty! We shared the churos; yummy! Nice decor and staff attentiveness. The entrees on their new menu are less cost than before! Outstanding experience beginning to end. This is the first good mojito since I left Cuba and the prices were very reasonable. Conchinita nachos were the highlight...a perfect mix of picante and mango. Go here as soon as you can! We went on a very rainy night so there were not a lot of people in the restaurant. That was great for us as the food came out hot, quick, and delicious. We opted for doing several small plates. 5 small plates and six total margaritas came in at under $100 before tax. The flautas were crisp with out the meat inside being dried out. The pork and to tostones had so much flavor and didn't fall apart. The real test was we took part of three plates home and had them for lunch the next day and they were all three just as good!! Can't wait to go back! Food was over the top and setting and ambiance super. Service was awfully slow and a bit haphazard although very pleasant wait staff. We arrived on time for out 12:30 reservation, both drinks at the same time but the was not to the table until 1:30. Hence we changed our afternoon plans on the spot. We shall be back for the food and give it one try one more time later in March. Our impression might be skewed because we were seated next to a very enthusiastic bridesmaids' party, but we enjoyed the wonderful food and the cheerful, bright atmosphere! The ceviche was LUSCiOUS, slightly hotter than we like but with complex citrus flavors and textures. It meshed nicely with the unctuous guacamole, which also complemented my husband's rice dish. The dishes were very reasonable portions, and wonderfully prepared right in front of us -- the open kitchen/grill is a big part of the atmosphere. The seafood was just caught fresh, and the roasted cauliflower salad was filling and packed with contrasting flavors and textures. We look forward to returning! Great food, great service. Outstanding tequila menu and an excellent mojito. 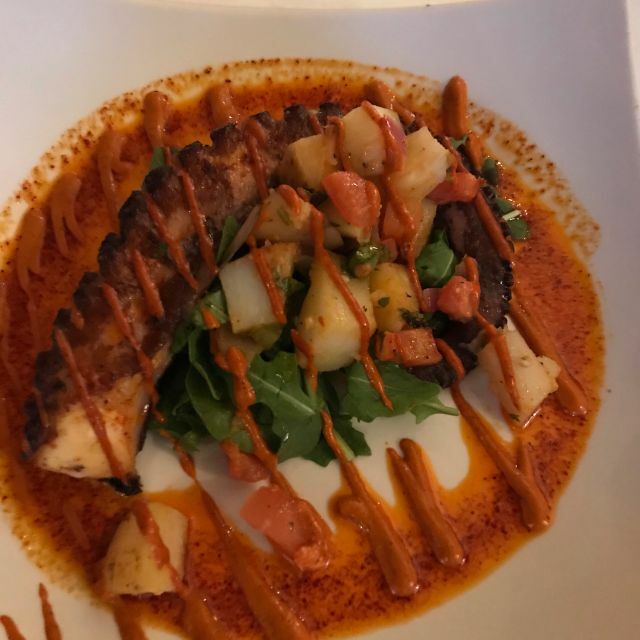 Really enjoyed the charred octopus appetizer and the regular ceviche is very good. Highly recommend the chicken mole. Room gets loud even when half full. Took 30 minutes to get our drinks after ordering. Then it took another hour and 15 to get our food. Waiter hardly checked in, which you would expect if the food was taking too long to come out. Total dining time 2 hours and 15 minutes. Terrible experience especially for our first time in. My wife and I stopped by before an Opera being performed across the street. Service was very slow. The restaurant was slow both in delivering beverages and food. Maya needs to address why it can not respond to a large crowd when known in advance there would be one. It took about 2 hours for our food to come out (it was six of us) and the restaurant was not busy. The atmosphere of the restaurant is nice and the drinks were tasty but the food was a joke. Four of us got the skirt steak and eggs and we got the smallest piece of meat (that was sirloin), a few potatoes, and plantains were missing. The portions were seriously a joke but on top of that, the food was cold. No one finished their food. The first time I came here I could not wait to come back. Chose Mays over several other places we could go to revisit tonight. The first time the food was special, different, and inspired. Tonight was typical, every-day, and lackluster. Felt like they were cooking for the quick mass crowds with “Mexican food” rather than those of us wanting an upscale real-Spanish dining experience. 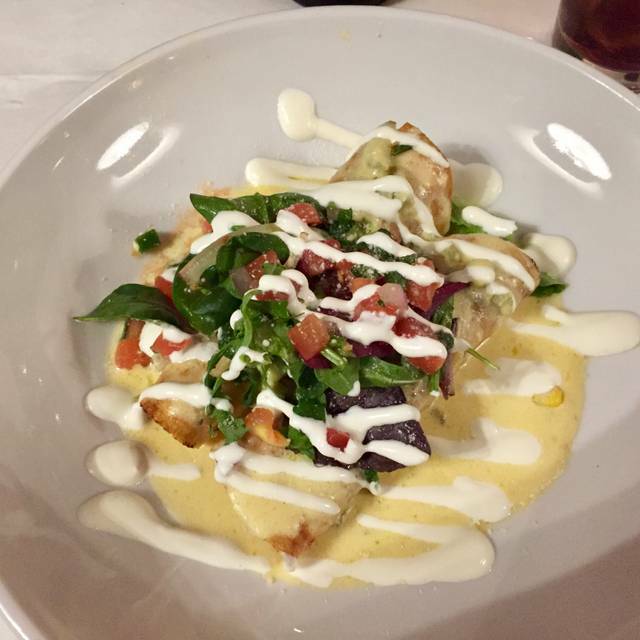 Maya is firing on all cylinders: great food, service and atmosphere. Its also a prime location for post-show dinner, as the Carpenter Theater is directly across the street. This was our second visit. On the first visit, they forgot our order, but eventually brought it and it was very good. We were time crunched in the visit and told them, and they had the order out before the salads were done, but that was OK.
We were totally disappointed in their Mole. It was a little like you took perfectly good chicken to the Dairy Queen for hot fudge sauce! We had Mahi Mahi tacos before which were great, and the salads were very good, but do avoid the Mole unless you have a serious sweet tooth. We chose to enjoy the full service bar instead of being seated in the dining room. 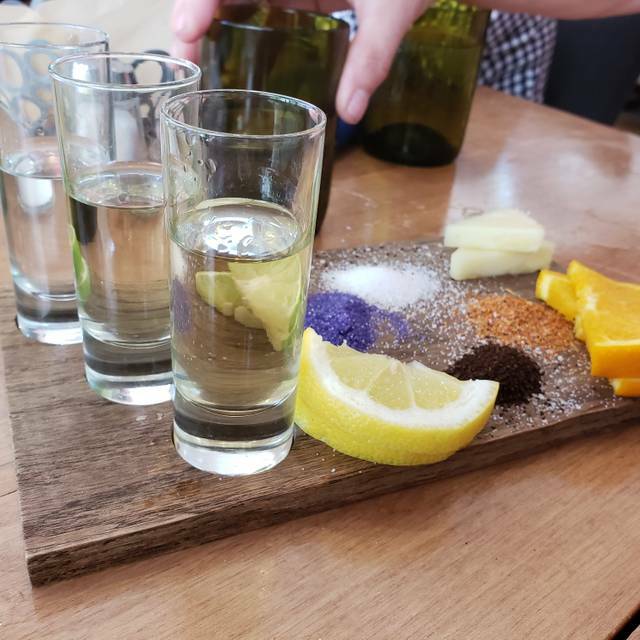 Our bartender was amazing, giving us insight on different tequilas to try for our flight. She was personable and delightful - she would be a sure reason to visit again. We ended up ordering steak tacos and pork tacos - 1 word AMAZING! Hair in food. Slow service. Ran out of too many menu item. This was an early dinner 6:30. Theatre night. Place was busy. Service was average. Bar service was slow starting out. Drinks were good. Pisco Hibiscus sour is excellent! Food was above average. This is a perfect location if going to the Carpenter center. They did get us out on time and that is a big plus! Mahi mahi tacos had a strong fishy flavor that overcame all other ingredients. Pulled pork tacos were dry. None of the dishes we ordered had any real flavor punch. My friend and I had the taco salad...it was so small and DRENCHED with salad dressing. The menu description said it comes with corn, beans, avocado, etc. I think there were 5 kernels of corn and 2 beans. Seriously. To top if off there was only one taco chip...def. would NEVER order that again.